Ty turned to Byron Gallimore and James Stroud to produce his second RCA album in 1996. It was filled with positive, mainly up-tempo material, without a broken heart in sight. The lead single, the energetic up-tempo blue-collar love song ‘Irresistible You’ is, if not quite irresistible, quite enjoyable, although the production is a bit too busy. Written by Billy Lawson, it peaked at #22. The second and final single ‘All Of The Above’, written by Chris Waters and Jon Robbin, failed to crack the top 40, but I actually prefer it. It’s a little fluffy lyrically, with its multiple choice test with no wrong answers, but Ty’s earnest vocal sells it as a sweet love song. Ty was generally more at home on the upbeat material. The frantic opener ‘It Starts With L’, written by Sandy Ramos, is very catchy and could have been a single. ‘Never Say Never’ (by Al Anderson and Craig Wiseman) has a similar vibe. The title track, written by husband and wife team Barry and Holly Tashian with Mark D Sanders, is a nice mid paced song about the ups and downs of love, although the arrangement does sound a little dated now. ‘I’ll Take Today’ is a nice ballad about an encounter with an ex he no longer regrets losing, and affirming his love for his present partner. ‘Sure’ is another pleasant love song. I really like this song. The same writing trio provided ‘Kick Back’, a bright western swing tune about accepting life. While a perfectly capable singer, Ty was not at all distinctive as a vocalist, and the lack of emotional depth and variety on this album is another drawback. It’s not a major surprise that radio lost interest, and RCA pulled the plug on his record deal after this album. It remains pleasant listening, but not essential. Every year there seem to be fewer and fewer traditionally rooted country singers on mainstream labels still making a play for radio attention. Josh Turner is one of the holdouts, so it’s always good to hear from him, even if his material is sometimes less ambitious than one would ideally like. The precipitous recent decline in lyrical themes makes his conservative approach all the more welcome. Even in better times for country music Josh’s richly burnished bass-baritone voice would stand out. His newest single, ‘Lay Low’ paints a comforting picture of the tranquillity to be found in a rural retreat with a loved one, a million miles away from the dispiriting partying songs we hear too much. Although Josh didn’t write the song (reliable songwriting team Tony Martin, Mark Nesler and Ross Copperman are responsible), it was apparently written especially for him and was inspired by a cabin owned by Josh and his wife. 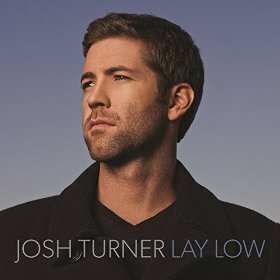 A pretty melody and sincere vocal make this a breath of fresh air on the airwaves, and raise hopes for Josh’s new album. After leaving RCA, Tracy struck out on his own. His last album to date was released on his own label in 2006). Freedom from commercial concerns led him to his most mature work, and the best album of his career. He produced the set alongside Mike Geiger, and they did a fine job showcasing the songs tastefully. It was written by Cole Deggs, Mike Geiger and Trey Matthews. It was the lead single, and got a little airplay, but really deserved to do much better. Almost as good, the sober realisation of the title track shows a man who has come to understand his failings. He looks back on a lifetime’s rash choices, now that his marriage is collapsing. 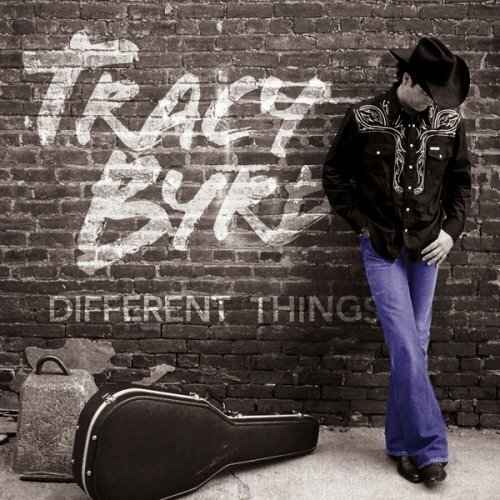 This excellent song was written by John Ramey, Brice Long and Bobby Taylor, and is interpreted with the just the right amount of resignation by Tracy. A stripped down production gives it the perfect support. A similarly rueful attitude dominates ‘She Was Smart’, in which a rich man finds out money isn’t enough to make up for his lack of commitment to his girlfriend. Sweet but not overly sentimental, ‘Just One Woman’ is a ballad with a spoken introduction about an old man’s lifelong love for his wife. Also rather sweet, ‘A Cowboy And A Dancer’ is a story song in which a cowboy down on his luck meets a girl whose dreams of musical theatre stardom have sputtered out by working as a stripper to put herself through college. A shared ride out of Texas turns into romance. Can’t you see everything’s already gone that I ever cared about? ‘Before I Die’ offers up a bucket list with a wistfully delivered lyric and lovely melody. Not outstanding, but nicely done. The closing ‘Hot Night In The Country’ is a rare Tracy Byrd co-writing credit (alongside Mark Nesler and Tony Martin) but is a bit dull. ‘The More I Feel Rockin’’ is a cheerful mid-tempo celebration of refusing to slow down despite growing older – pleasant filler but enjoyable enough. Overall, though, this is the best album Tracy has ever recorded, and is an essential purchase. That makes it all the more disappointing that he has gone silent since its release. Change was afoot for Aaron Tippin in 1998. His tenure at RCA Nashville ended in 1997 and Lyric Street Records quickly signed him in early 1998. He went to work on a new album, and released What This Country Needs in October. Tippin co-produced the project along with Pat McMakin, marking their first time working together. He previewed the album with Mark Nesler and Tony Martin’s “For You, I Will,” which peaked at #6. A love song, it succeeds on a pleasant mid-tempo production featuring a nice dose of fiddle and steel. It’s a fairly middle of the road song at best, and Tippin’s somewhat disengaged vocal is partly to blame. But I do really enjoy the production. Tippin may get his point across, but the track is no “Murder On Music Row.” The rock production is too jarring for a song about reconnecting with traditional sounds. He mostly sticks with those traditional sounds on the remaining tracks, with “Don’t Stop (We’re Just Getting Started)” leading the pack. By 1998 this line dance ready barroom romper was a bit dated, but the drenching of steel helps it rise above the pack. The same classic elements bring the excellent “Somewhere Under The Rainbow” to life. “I Didn’t Come This Far (Just to Walk Away)” is a favorite track of mine because I really enjoy both the melody and overall country feel. Same goes for “Back When I Knew Everything” and “Sweetwater,” two barroom anthems. The honky-tonk production and twang-y guitars are excellent additions to the songs. The remaining tracks, “Nothing Compares to Loving You” and “You’re The Only Reason For Me” are the only clunkers suffering from being too loud and far too adult contemporary, respectively, for my tastes. Overall, What This Country Needs is just an okay album – nothing terrible yet nothing outstanding (none of the songs are particularly memorable in any significant way). My main issue with the project is Tippin himself – he sounds neither comfortable nor confident and gives spotty vocals throughout. He’s proven he can be strong enough on somewhat traditional material, but he hardly brings any of those goods here. In 2006 Collin released a Europe-only release to coincide with a tour; the US didn’t miss anything because Fearless is frankly pretty awful. Three years later, he teamed up with Saguaro Road, a Time Life imprint, and produced his most recent secular effort to date. Never Going Back is better than Fearless, but overall proved to be another disappointment with a few bright spots. The screamed out rock of the title track, written by Collin with the album’s producer Michael A Curtis, is an over-produced, too-loud error of judgment, entirely unsuited to Collin’s strength as an artist. At five minutes, it is also far too long. There are a couple of outright pop covers, neither successful. Pop classic ‘Without You’, performed as a duet with Christian music artist Susan Ashton has nicely understated verses but gets completely overblown on the chorus, both vocally and instrumentally. Collin’s version of ‘Stuck In The Middle With You’ is just boring karaoke which seems pointless. Collin’s voice is a bit strained at times on the over-produced mid-tempo ‘Mid Life Chrysler’, a barbed portrait of a middle aged man trying to hold on to his youth with the aid of hair dye and a hot car while jettisoning a longstanding marriage. It is the most interesting of four songs written by Neil Thrasher, this one with Wendell Mobley and Tony Martin. Thrasher and Mobley’s ‘You Get Me’ and ‘Take Care of You’ (written by Thrasher and Mobley with Aimee Mayo) are bland pop-leaning love songs. The sugary piano ballad ‘I Love You This Much’, written by Thrasher with Austin Cunningham, is not the Jimmy Wayne hit but uses the same “open arms” imagery and shift to Jesus in the last verse, to significantly less effect. Oh, and who am I to judge him? The heartfelt ‘She’s With Me’ was written by Collin about other people’s reactions to his disabled granddaughter. ‘Where It Leads’ is quite catchy Southern rock with bouncy piano, which works much better than most of Raye’s forays into rockier material, because there is both an actual melody and a lyric that tells a story. The soothingly melodic ‘Don’t Tell Me You’re Not In Love’ (also recorded by George Strait on The Road Less Travelled) is prettily done and one of the few tracks I thoroughly enjoyed, although I prefer Strait’s cut. While not Collin’s best work, the good tracks are worth hearing. This is definitely a case of selective downloading. When Sammy Kershaw convened in the studio to follow up Feelin’ Good Train he stuck with his trusty production team of Buddy Cannon and Norro Wilson. In addition to his secular work, they’d teamed up for a holiday release, Christmas Time’s A-Comin’ (the title track being my favorite version of that fabulous song) in the winter of 1994, and Greatest Hits, Chapter 1 in 1995. As a result, when Politics, Religion and Her was released in May 1996, it stuck true to the formula Kershaw had honed since his debut five years earlier. Lead single “Meant To Be,” an uptempo ode to finding love in unexpected places, was the most successful at radio peaking at #5. He followed with the novelty song “Vidalia” which reached a #10 peak that summer. Both are very good although “Vidalia,” a song I remember distinctly from watching the video on CMT as a kid, isn’t the greatest lyric in Kershaw’s catalog. Sammy’s third album for Mercury/Polygram was released in 1994, and was produced as before by the team of Buddy Cannon and Norro Wilson. The first single, ‘National Working Woman’s Holiday proved to be Sammy’s biggest hit since She Don’t Know She’s Beautiful, just missing the top spot with a #2 peak. It was co-written from the usually estimable Roger Murrah, but while it is catchy, this well-meaning tribute to a man’s hard working wife comes across as pandering. A cover of the Amazing Rhythm Aces’ 1970s hit ‘Third Rate Romance’, which is much better, also reached #2. The closely observed lyric is on the surface unjudgmental, but sharply honest and precise about the sleazy nature of the situation. The original singer and the song’s writer, Russell Smith, contributes backing vocals. Mac McAnally’s gently atmospheric but slightly overproduced ‘Southbound’) with McAnally on backing vocals) was perhaps too subtle for country radio, and showed the first signs of a commercial slowdown for the artist, not getting far into the top 30. ‘If You’re Gonna Walk, I’m Gonna Crawl’ did a little better, and was a top 20 hit. It’s actually my favourite of the album’s singles, an entertaining upbeat number about a honky tonker seeing the error of his ways only when his wife is set to walk away. It was written by co-producer Cannon with Larry Bastian. Breakup song ‘If You Ever Come This Way Again’ is a Dean Dillon co-write (with Donny Kees). The phrasing and melody bear all the hallmarks of a Dillon composition, while the production utilizes adelicate string arrangement to add sweetness to the melancholy mood. This is an excellent, subtle song about the complicated emotions felt by the protagonist facing separation from someone for whom we feel he has stronger feelings than he actually admits. Also excellent is the delicately mournful ballad ‘The Heart That Time Forgot’, written by Tony Martin and Sterling Whipple, about failing to get past the memory of a lost love. The soulful ‘Too Far Gone To Leave’ is an emotional ballad which isn’t bad, but has an obtrusive string arrangement which drowns the vocal at times. It did not sell quite as well as its predecessors, but was certified gold. While not Sammy Kershaw’s best work, it is a pretty solid effort, and used copies are available so cheaply it’s worth picking up. Once Tim had made his commercial breakthrough, he was able to be a little more adventurous with his third album in 1995. This marks the point at which one can call Tim McGraw an artist rather than just a singer. The song quality was good, but the production (orchstrated as before by James Stroud and Byron Gallimore) lacks subtlety and leans a little too heavily to electric guitars front and center. Although sales were less than for its predecessor, Tim had found a firm place on country radio, as evidenced by five top 5 singles, two of them #1s. Lead single, the silly but somehow irresistibly catchy ditty ‘I Like It, I Love It’ (complete with a nod to the Big Bopper), was Tim’s third #1. It also had some pop airplay. The singalong nature of the song for once makes crowd noise acceptable. This song should probably fall in the guilty pleasure category, but I don’t even feel guilty about it. The rather good emotional string-laden ballad ‘Can’t Be Really Gone’, written by Gary Burr, fell just short, peaking at #2. Tim is not one of the best vocalists around, but this is one of his better efforts, with a real emotional commitment to this song about a man in denial about the permanence of his wife’s leaving. Title track ‘All I Want Is A Life’ is an up-tempo rocker without much melody and with too-loud and now dated sounding production, but a relatable lyric about struggling with poverty and aspirations for something more. It was the least successful of the album’s singles, but still peaked at #5. Also a bit heavily produced but less obtrusively so, ‘She Never Lets It Go To Her Heart’ was another chart-topper, written by the hitmaking team of Tom Shapiro and Chris Waters. The mid-tempo ‘Maybe We Should Just Sleep On It’ (written by Jerry Laseter and Kerry Kurt Phillips) also did well, peaking at #4. These two are okay but not outstanding, and there was better material on the album, such as the relatively understated ballad ‘The Great Divide’, written by Brett Beavers. This is a very good depiction of a couple trapped in a tired marriage, who would rather pay attention to their respective book and TV show than one another. There is still hope their love can be rekindled. ‘When She Wakes Up (And Finds Me Gone)’ is another mature song with complex emotions which is well sung by Tim, but would have worked better for me with more stripped down production. The extended electric guitar solo at the end is excessive and adds nothing worthwhile. ‘Don’t Mention Memphis’ is another good song about a breakup, written by Bill LaBounty and Rand Bishop, but the rhythm is abit jerky and the track is over-produced. The impassioned ‘You Got The Wrong Man’ is also quite entertaining if rather processed sounding, as Tim tries to persuade a woman burnt by love before that he isn’t like the man who broke her heart. Then there are a couple of real missteps. ‘Renegade’ is a boring rocker with Tim unconvincing as a rebel. ‘That’s Just Me’ is a southern/country boy pride number written by Deryl Dodd which sounds musically a little like a slightly slower ‘Indian Outlaw’. Dodd recorded it himself a couple of years later when making his Columbia Records debut. Overall, the material selected here was a major advance for Tim McGraw, but the production choices are less palatable. Tim had found his musical direction, and if it was a long way from the traditionalism of his first album, it held a lot of appeal for country radio and cemented his fanbase. Triple platinum sales meant this was not quite as successful as its predecessor, but it is a better, more mature work. Better still, from Tim’s point of view, while topuring in support of the album, he fell in love with opening act Faith Hill, and by the time his next album came out he would be a husband and father. Used copies are available very cheaply. After a year in which Turner saw his last single, “I Wouldn’t Be A Man” painfully climb to a #18 chart peak, you’d assume he’d return with a much stronger song able to push momentum in his direction again. Unfortunately, he’s returned with another example of subpar material far below his obvious talent. Written by Tom Shapiro, Tony Martin and Mark Nesler, “Time Is Love” is the type of filler used by artists who need songs to fill out their albums. The generic melody, weak lyrical content, and sub-par vocal performance will likely keep this song from making a big impact at country radio. The chorus doesn’t add much to the overall story except to continue building up the urgency of the man’s need to be with his woman. But like any poorly constructed song, the story goes nowhere very fast. There’s all this build up but no culminating moment when he finally meets up with this woman. And by the time the bridge finally comes around, you’ve lost interest anyway. I only wish we could be celebrating Turner’s return to form after two less than stellar singles. He has all the goods and he’s proven just how good he can be on songs like “Long Back Train” and “Your Man.” I just hope the rest of the album isn’t summed up in this single and there’s still some reason to be excited for his music. While riding high on the success of three gold and platinum albums, a consistent run of hit singles and shelves of industry awards, Diamond Rio issued their fourth Arista album, appropriately titled IV in 1996. It would continue their run at the top with 3 more top 5 hits and another hitting the top 20, and would quickly be certified gold. Lead single ‘Walkin’ Away’ features an easy melody and implores lovers to hold it together, “baby don’t go there, love don’t get nowhere, walkin’ away“. Steel guitar flourishes propel the melody and Marty Roe’s vocal, and helped send it to #2 on the Country Singles chart. ‘That’s What I Get For Loving You’ follows closely to the first single, so much that they mirror one another when played back to back. This track doesn’t follow a disagreement between lovers, but celebrates the pair’s union, and became Diamond Rio’s 11th top 10 hit when it peaked at #4. The stand-out single was the cheeky ‘It’s All In Your Head’, penned by the great Reese Wilson with Tony Martin and Van Stephenson. With its swampy beat and masterful grasp on the idiosyncracies of the devoutly religious, it is my favorite song from Diamond Rio. It tells the story of a “sidewalk, soapbox preacher lookin’ forward to the end of the world” who marries a “messed up, dressed up waitress with a slightly tarnished heart of gold” from the point of view of the preacher’s caustic son. The preacher is finally felled by snake venom “stronger than his faith“, and he goes out of the world repeating his conspiracy-theory mantra. It was also the album’s least successful single, stopping at #15 on the charts in the Summer of 1996. IV is characterized by the group’s tight harmonies as they wrap them around their trademark breezy melodies, which elevate even the lesser tracks like “She Sure Did Like To Run” and “Love Takes You There”. The album is not without a few clunkers either. “Is That Too Much To Ask” glides along smoothly with the electric guitar jamming throughout, but its repetitive chorus and mundane lyrics about “wanting it all” leave the entire effort a bore to listen to. The best tracks come from a pair of ballads. Released as a single in Germany, “She Misses Him On Sunday The Most” tells the story of a widow and the grief she feels most on Sunday mornings, sitting alone in the church pew as a tinkling piano is complimented by an acoustic guitar. “Just Another Heart” makes good use of its card-playing analogies and is a well-written song all around, from the writing team of Skip Ewing and Tim Johnson. While IV was less successful than its predecessor – it didn’t go platinum – and while it had some definite soft spots, it is still an essential addition to their discography, and a solid effort from the group. “Country Strong” is a very conventionally-produced power anthem, with fluffy lyrics performed by a beautiful blonde singer. In other words, it has all the trappings of a potential smash hit. Having grown weary of the steady onslaught of outside-the-genre celebrities trying to crack the country music market in recent years, I was initially more than a bit skeptical upon learning that Gwyneth Paltrow was releasing a single to country radio. Therefore, I was a pleasantly surprised after listening to the song to discover that Paltrow proves herself to be a competent, if non-distinctive, vocalist, though admittedly the excellent harmony vocals provided by Vince Gill and Patty Griffin help to camouflage Paltrow’s vocal shortcomings. I may revise my opinion of Gwyneth’s singing depending on how her live performance on the upcoming CMA Awards show goes, but in the studio, at least, she is definitely up to the task. Written by Jennifer Hanson, Tony Martin and Mark Nesler, and produced by Byron Gallimore, “Country Strong” is the title track of a new soundtrack album being released by RCA this week, to promote the upcoming motion picture of the same title. In the film, Paltrow portrays a fallen country star, struggling to recover from alcoholism and rebuild her career. Tim McGraw co-stars as her manager and husband. There is nothing particularly memorable or interesting about this record, and in fact, a strong case can be made that the last thing country radio needs right now is another generic, relentlessly positive female empowerment anthem. However, since the track’s purpose is solely to act as a promotional tool for a movie, and since Gwyneth Paltrow is not normally known as a singer, I’m prepared to cut her and the record a little slack. And since, presumably, Paltrow’s character triumphs over her adversities by the end of the film, the positive message is entirely appropriate. A music video of “Country Strong” can be viewed on YouTube. The single can be downloaded from iTunes and Amazon. The soundtrack album, which also contains contributions from Chris Young and Patty Loveless, Ronnie Dunn, Sara Evans, Trace Adkins, Lee Ann Womack, and others is also available from Amazon. It was a surprise when Rhonda Vincent, probably the leading female bluegrass singer of this millennium, announced earlier this year that she had left Rounder after ten years, in favour of releasing her latest album on her own label. She has now released her first independent release. Lying and cheating earns him a life sentence without her, too, as she refuses to believe his professions of love and penitence. As predominantly a country fan, it is perhaps unsurprising that my favorite tracks (other than the aforementioned The Court Of Love’) are the country songs given a bluegrass treatment. ‘Back On My Mind’, about struggling with an old love despite trying to move on with the protagonist’s life, was a big hit for Ronnie Milsap back in 1979, it is well suited to Rhonda’s voice with its almost piercing clarity. I also enjoyed a revival of Barbara Mandrell’s 1971 top 10 hit about a trucker’s fiancee anxiously awaiting her man’s return armed with a ring: ‘Tonight My Baby’s Coming Home’ (written by Billy Sherrill and Glenn Sutton). The bluegrass makeover works surprisingly well. Things take a more sophisticated turn with ‘A Little At A Time’, a downbeat contemporary country ballad about a relationship which the protagonist senses is about to come to an end, co-written by former Curb artist Amy Dalley with Tony Martin and Tom Shapiro. It’s very well executed, but takes a little longer for its qualities to emerge than some of the other tracks. The title track is a beautifully sung and played but rather boring AC love ballad, featuring a harmony vocal from 80s pop star Richard Marx. In contrast, ‘God Is Watching’ is a delightful traditional slice of handclapping bluegrass gospel sung with the band. Rhonda teams up with her talented daughters Sally Berry and Tensel Sandker to sing a close harmony trio (with swapped leads) on a charming Roger Brown song which sounds like a traditional Appalachian folk number, ‘When The Bloom Is Off The Rose’. The girls’ band Next Best Thing also gets a maternal plug in the liner notes, and they sound as though they’re worth looking out for in the future. The low-key murder ballad ‘In The Garden By The Fountain’ (also written by Brown) is also lovely sounding with a heavenly harmony line from Dolly Parton which really lifts it, belying the grim theme. Rhonda herself co-wrote ‘Song Of A Whippoorwill’, about the bird, and again the melody is attractive but the song is of limited interest. The Rage, Rhonda’s band, co-produced the record with her as well as providing the core of the backing, and although there are no instrumental tracks this time, they get their own showcase on ‘Ragin’ Live For You Tonight’, a celebration of their musicianship and live show written by three of the band members. The song served as the title track on Rhonda’s 2005 live album http://www.amazon.com/Ragin-Live-Rhonda-Vincent/dp/B0007GAEO4 and I imagine it goes down a storm live. It also allows Rhonda to put in a plug for her longtime sponsor Martha White. The company appears to be contributing to the costs of the album, a model which other artists planning on following the same route might be tempted to adopt. In return, the CD includes a recipe leaflet complete with Rhonda’s seal of approval. They also get a product placement in the charmingly nostalgic ‘Sweet Summertime’. Rhonda also had one really bad idea when making this record, and it materialises at the end of the record. Listening through this album for the first time, as the final track opened I thought ‘You Must Have A Dream’ was a pretty, if Disneyesque and slightly anodyne, inspirational song with a lovely vocal from Rhonda, but then the children started singing. Not only is there a child chorus (never something I am enthusiastic about), but two of the verses feature solo and duet vocals by child singers (who are frankly not very good). There may well be a story behind this inclusion, but the end result is really awful. The first time I listened to this I was a little disappointed overall with the material, but listening in-depth allows the subtle qualities to shine through. The vocals are spot-on throughout, apart from the children, and the backing is superb. This one is definitely worth checking out. In Another World would be the final album Joe Diffie recorded for Epic, his label home all through his heady hit-making days of the 1990s. It was again produced by Music Row veteran Don Cook and Lonnie Wilson. The pair take a mostly neo-traditional approach to the music, and allow the lyrics and Joe’s vocal performances to shine through and be the central instrument on the album. As a whole, this is one of Joe’s most solid efforts – almost all of these songs are good ones – but it does lack any real knockout moments. In Another World didn’t restore Joe Diffie to a gold-selling record maker, though the title track did find a lot of favor with country radio. ‘In Another World’, the very pop-leaning title track, revisits a similar theme from Joe’s own ‘A Night To Remember’ with a man visualizing a love gone by. The chorus sweeps you away, but the overall wall of production, and the use of echo and autotune make the song itself sound more than a bit out of place among the rest of Joe’s hits. Jo Dee Messina took ‘My Give A Damn’s Busted’ to the top of the charts in 2005, but the Tony Martin, Tom Shapiro, and Joe Diffie co-write makes its first appearance to the country audience here. It’s no surprise not many remembered it – considering it’s status as an album cut on an obscure Joe Diffie album – and given that this version just sounds so tame, and dare I say, phoned in, while memories of Messina’s punchy performance are still fresh in my ears. Where Messina giggles and sashays her way through the lyric, Diffie appears to be aiming for a more deadpan approach – one that doesn’t serve the song well. ‘If I Lost Her’ finds a man in a bar after a fight with his wife, and tells of the advances of another, albeit adequate, woman on the make. The attention from this new lady only sends his mind to the one at home, and rekindles the fire between them. It takes a somewhat plodding pace, but is a good song, if not a recurrent favorite. From the minds of John Scott Sherrill and Shawn Camp is ‘Hollow Deep As Mine’, a modern-day country/blues hybrid story of a Kentucky man, bemoaning the cold and isolated mountain backroads he calls home. ‘Hollow’ also features the production style, and mid-tempo pace, that I’ve always preferred in Joe Diffie’s music, with plenty of steel and fiddle set to a driving melody. An added bonus this time are that the lyrics are smart, vivid, and to the point. Following the mid-tempo neo-traditional sound is the album’s second single, ‘This Pretender’. The oft-told tale of someone wearing a smile to mask their heartache and the half a dozen cliché’ images and emotions in lines like ‘Got a smile painted on my face, got my heartache locked away prayin’ you won’t see’ helped it to stall at #49 on the country singles chart. A couple of novelty songs pop up this time out, though both are clever and without an overabundance they begin to actually sound novel again. The aforementioned ‘My Give A Damn’s Busted’ precedes ‘Stoned On Her Love’ as the only up-tempo ditties. ‘Stoned’ features Sawyer Brown-style harmonies and similar guitar work that would get Mark Miller popping and bouncing. ‘Live To Love Another Day’ falls close to the novelty song category, but a determined vocal from Joe on this Brooks & Dunn-inspired country rocker, with the guitars cranked up high in the mix, keep it serious enough. Likewise, ‘What A Way To Go’ wryly tells of a man giving in to a woman he knows will break his heart, maybe even kill him, but dying in her arms, hey, ‘what a way to go’. ‘The Grandpa That I Know’ was written by Tim Mensy and Shawn Camp and was first recorded by Mensy for his own Giant Records release, and later by Patty Loveless on her sublime On Your Way Home album. Diffie’s abilities as an interpreter of a sentimental country lyric are at their apex here, accompanied by a simple arrangement that’s perfectly suited for his memories of the earthy farmer in overalls that he calls Grandpa, while he tries not to commit to memory the image of him in a striped suit, going to meet his maker. The mournful fiddle solo at the end is a fitting touch, and closes an overall solid collection of country music. In Another World is still widely available, at amazon and everywhere else.